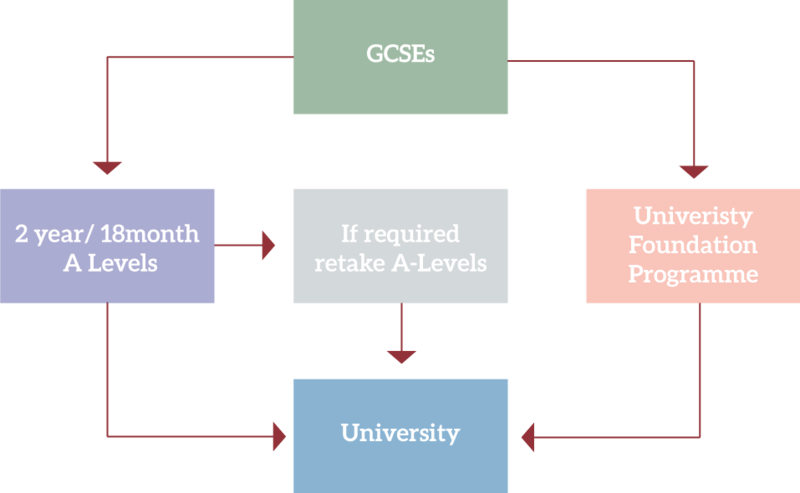 The UK education system is structured so that students take two main sets of subject examinations prior to entry into university. The first set is called GCSEs or IGCSEs, which is studied over a 2 year period, and the second is called A Levels. International students wishing to enter into the top UK universities can undertake A Levels (either the 2 year or 18 month course). If students have missed the grades for entry into their chosen course, a retake can be taken in the subject of choice subject to visa regulations for international students. Some students may wish to study the University Foundation Programme (UFP). This intensive one year course is equivalent to A Levels and the International Baccalaureate (IB). The course is suitable for students who already know which university course they wish to pursue. Highest international student experience satisfaction – the UK has the highest ratings for English-speaking countries, with over 90 per cent of students happy with their experience. Most esteemed higher education system – The UK higher education is among the best in the world and consistently performs well in world rankings. In the Times Higher Education World Rankings 2018, UK universities have 3 in the top 10 (with University of Oxford and University of Cambridge being the top 2 universities in the world). Global reputation – the UK’s education system is well known and respected across the world for its high quality and strict standards, resulting in the best teaching, resources, and support available. Wide range of opportunities – the UK offers a wide variety of courses with huge choice and flexibility, allowing international students to pursue their academic ambitions with realistic options. Our UFP course is just one example of alternative educational pathways the UK has to offer.